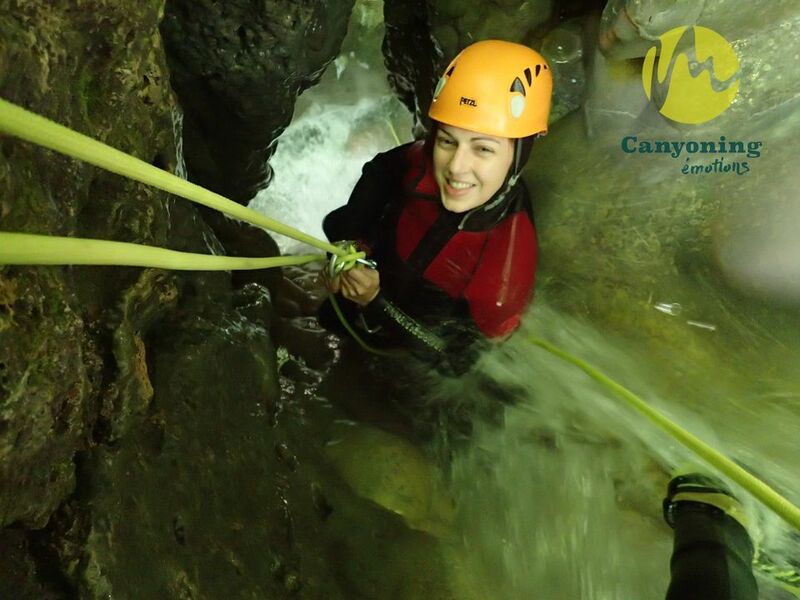 It is THE initiation canyon. 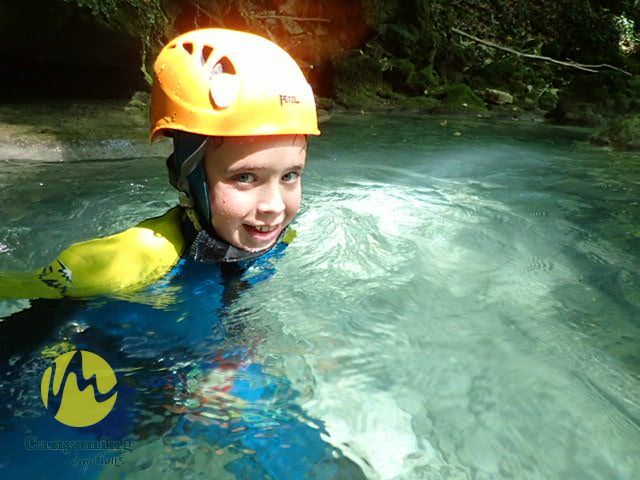 It is perfectly adapted to families, groups of friends and day camps. 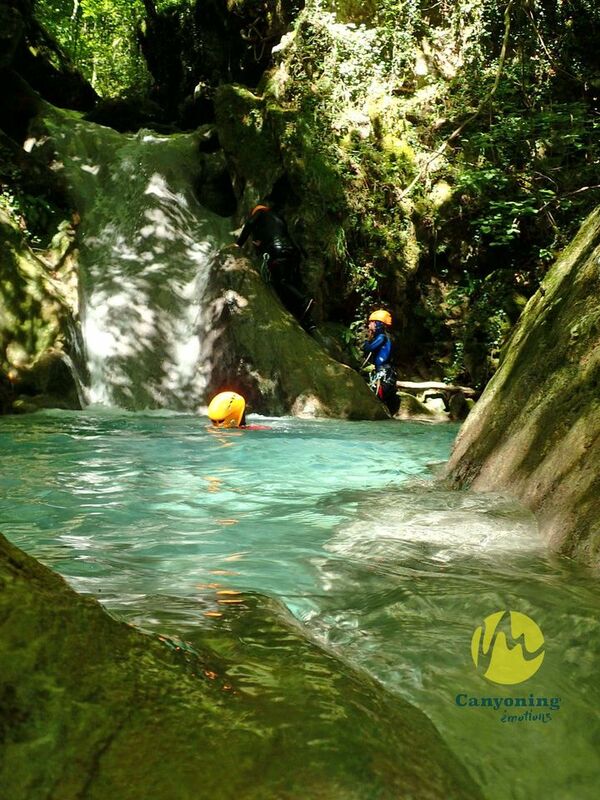 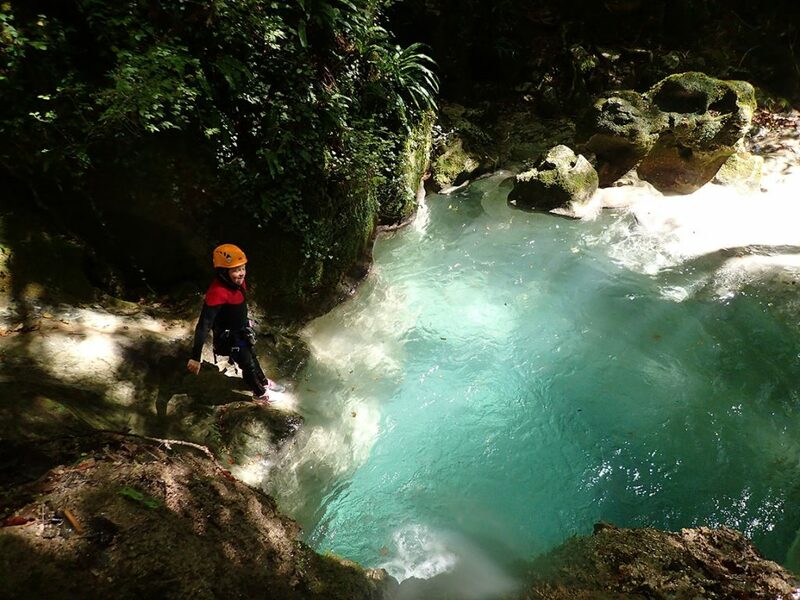 Come discoverthis magnificent limestone canyon and its crystal clear water. 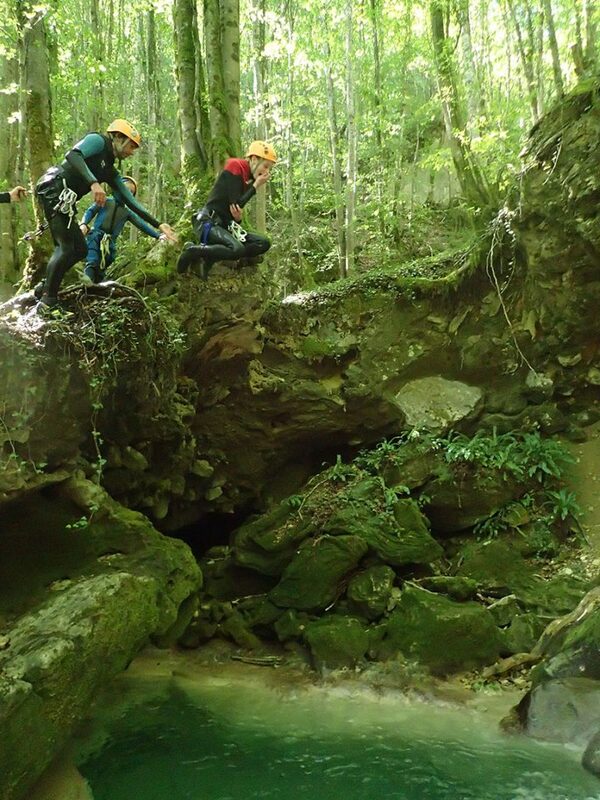 at any time to It is possible take several routes. 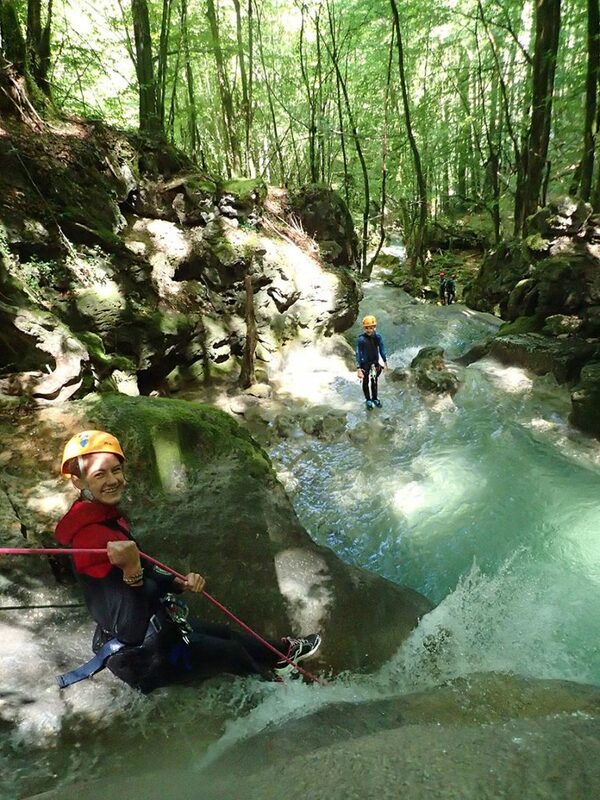 Everything is avoidable: No unnecessary stress! 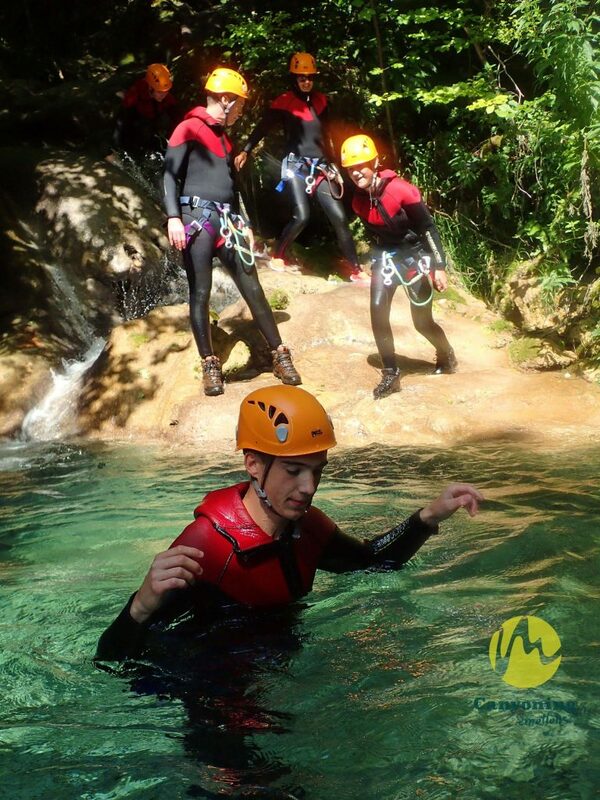 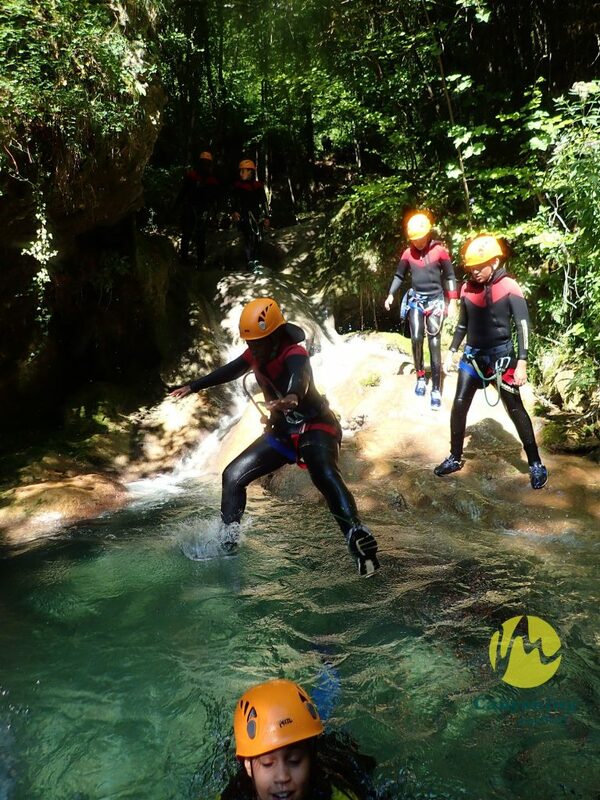 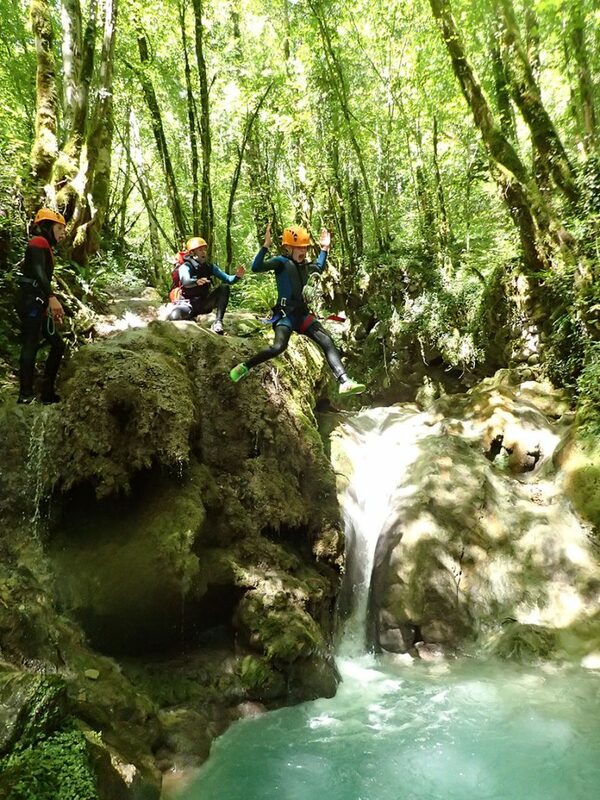 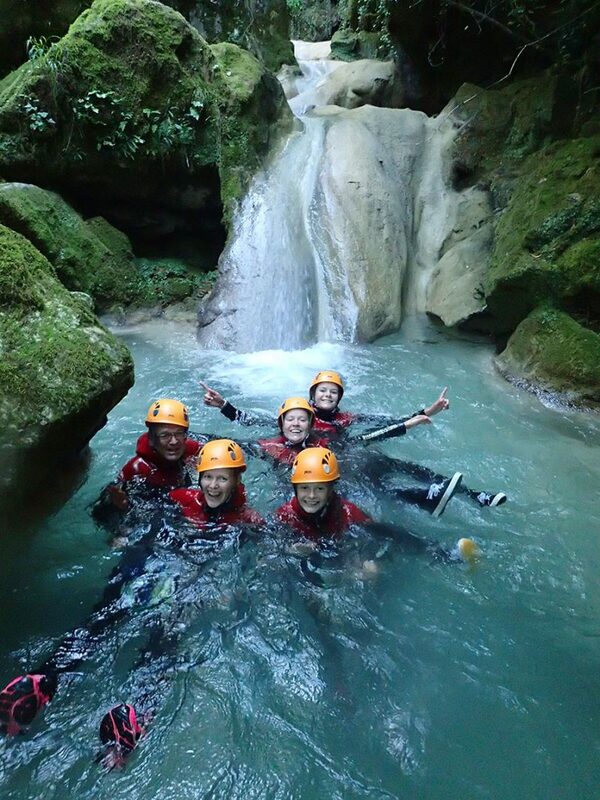 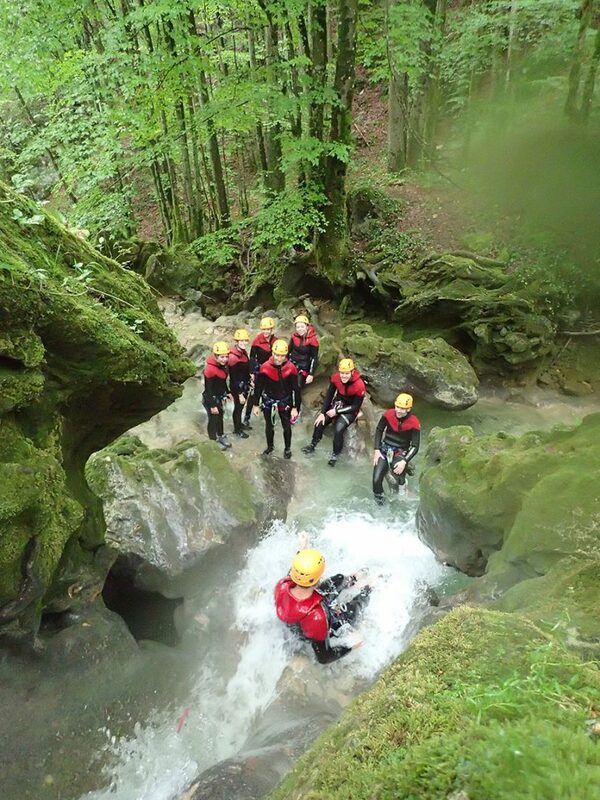 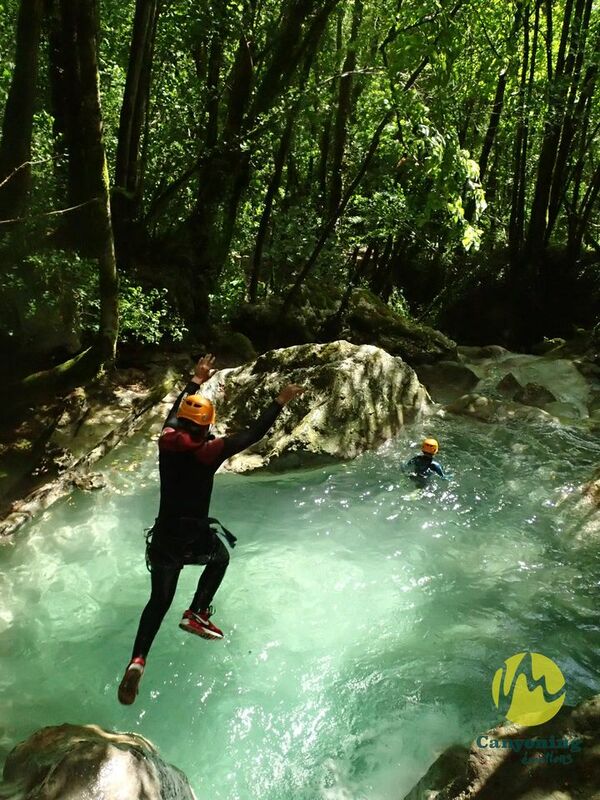 For the most experienced, you’ll get to jump from 8 meters high and abseil under a waterfall. 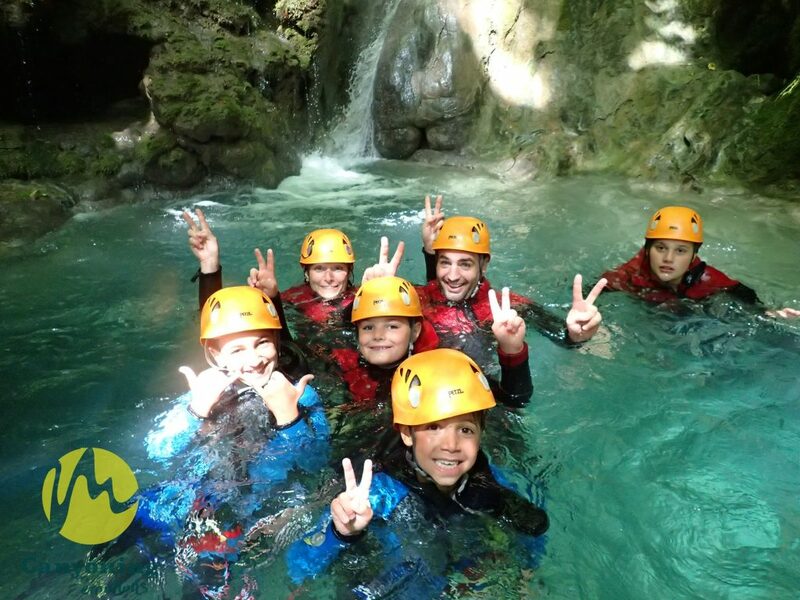 An outing for families and groups. 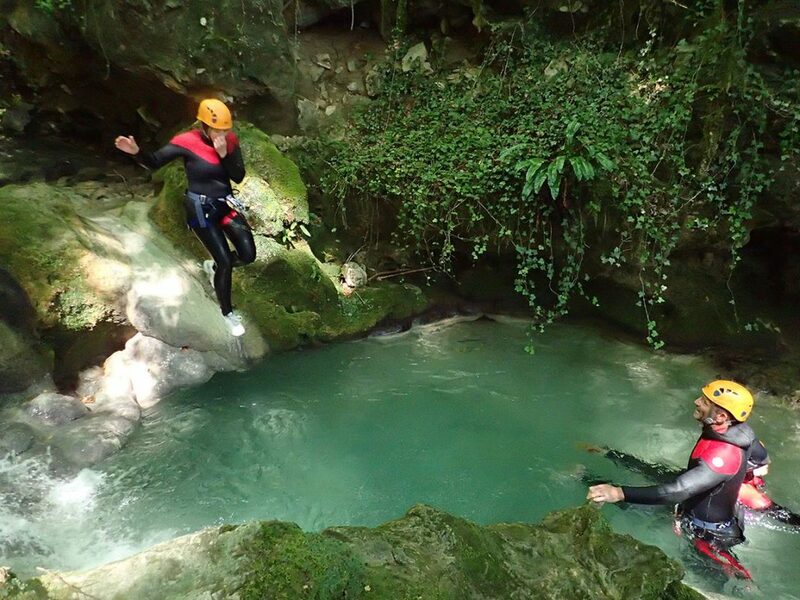 With beautiful slides, jumps and a natural arch, this very short canyon is perfectly suited to people wanting to learn the activity. 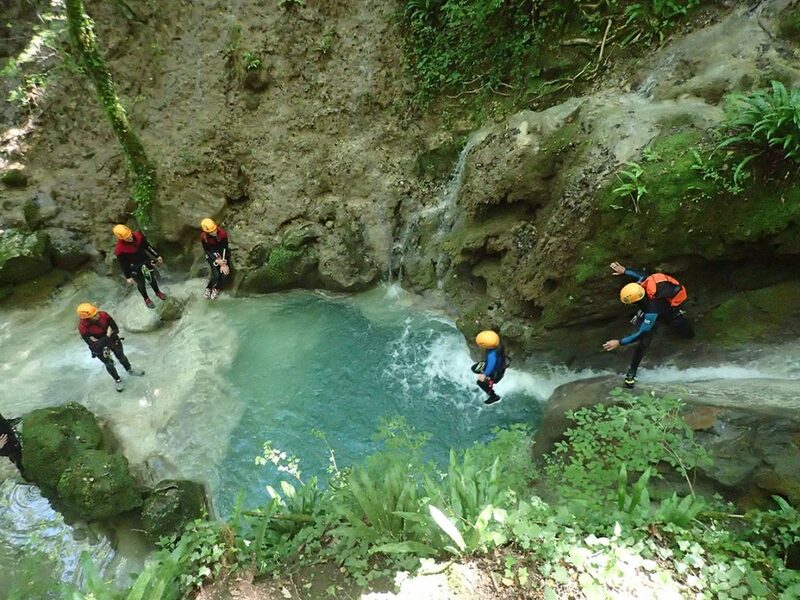 Several descents are necessary to discover all the secrets of this canyon.